Birmingham breathed fresh life into their npower Championship play-off ambitions with a comfortable 3-1 victory which nudged Doncaster closer to relegation. Blues had seen their campaign stutter in recent weeks with one win in eight going into the game, but a rampant performance ensured the points rightly returned to the second city. Second-half goals from Chris Burke and Marlon King won it after David Murphy's header had earlier cancelled out Frederic Piquionne's first-half opener for Rovers. The win, which could have been much heftier had King and Nikola Zigic not hit the woodwork, moves Blues up to fourth ahead of Saturday's games and they look a good bet to make the top six with seven games to play. For Rovers, the writing is on the wall as nine games in March has yielded just one win, with no home victories in eight attempts - statistics which point to them being in League One next season. 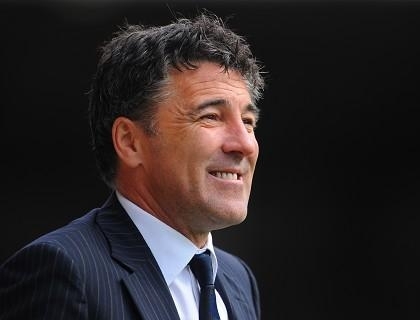 The night had started so brightly for Dean Saunders' side, who had been called on to string some wins together in their quest for survival, as they enjoyed a perfect start, taking a fourth-minute lead. Having worked the ball well down the right, Simon Gillett produced a delicious cross for Piquionne to power home his second goal for the club with a towering header. Birmingham had been struggling of late and it was another below-par start. But they sprung into life and were within inches of levelling when King created space for himself and fired against the underside of the bar. Rovers cleared the ball, but from the resulting corner there was no escape as Zigic's header was parried by Carl Ikeme and Murphy climbed highest to nod the rebound home and level matters in the 15th minute. It was quickly becoming the visitors' game for the taking and a spell of concerted pressure led to controversy just after the half-hour mark as King raced clear and as he rounded Ikeme he appeared to be caught by the goalkeeper. The striker initially opted to stay on his feet, until he lost control of the ball then went down and was subsequently booked for diving. Blues were causing real threat and Rovers had another major let-off when Zigic somehow poked against the post from five yards out after good work by Chris Burke. The hosts will have been glad to get to half-time, but the early part of the second half offered no respite as Ikeme made a fine save to deny Zigic after the Serbian striker's first effort had been blocked. After all the Birmingham pressure, it should have been Doncaster that regained their lead just before the hour-mark as they spurned two golden chances within a minute. First Fabien Robert burst into the penalty area and teed up Gillett, but his effort was bravely blocked by Boaz Myhill and then Diouf struck over from 16 yards. But the inevitable Blues second eventually arrived four minutes later with a moment of real quality from Burke, who cut inside and curled a left-footed effort into the corner from 25 yards. Birmingham continued to threaten and put the game to bed with 10 minutes to go when King finished with aplomb after Murphy's pinged cross-field assist.